Wilson Co. DART heading to Williamson CO. for the AKC Dog Show and Trailer Presentation! 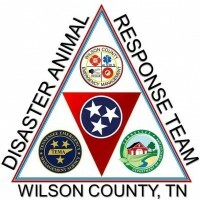 Wilson Co DART is meeting at the WEMA Training Center, at 6:30 pm Thursday March 10, 2016. The Team is getting ready to appear Saturday, March 12, 2016 at the AKC Dog Show at Williamson Co. Expo Center with the new WC DART/AKC Reunite Trailer. The AKC will be presenting the Trailer to WEMA and WC DART!!! The WC DART Team will be onsite from 9am- 4pm to speak to the public about DART and participate in the Press Release. All WC DART members are encouraged to attend., Invite Friends and family to attend the largest AKC Dog Show in TN.!! !